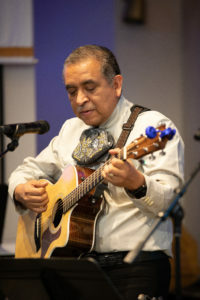 Pastor Ramirez demonstrates traditional music from his native Mexico. Pastor Joel Ramirez, long-time Phillips area pastor with ICCM (Inner City Church of Minneapolis), will receive the 2019 BridgeBuilder Award at Global Worship 12. 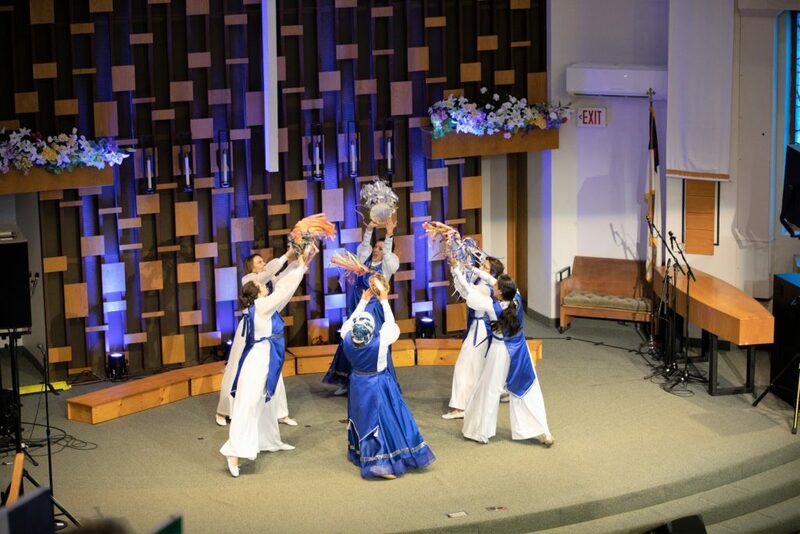 Global Worship is a colorful, exciting worship concert Saturday April 13, 6 p.m. at St. Paul’s Church, 1901 Portland. The evening will include performances from the Kehilat Sar Shalom Dancers, Quechua Church, Family Worship Center, and Heart & Soul Drum Academy, among others. Pastor Ramirez has planted 15 churches in Mexico and the United States, and is involved in training pastors and church leaders. Through his work with CRU, a ministry that equips local churches to be sensitive to the needs of the poor and marginalized, he serves as a mentor and teacher. St. Paul’s Church, serving the community since 1872, was founded by immigrants and has never forgotten its immigrant roots. It is the home of MissionShift Institute, which offers training in cross-cultural ministry. St. Paul’s welcomes its new pastor, Rev. Russell Grigsby, who lives here and is excited to serve the Phillips community. Many flags represent the nations of the Global Worship community.